From an April Fools’ Day debut performance for her church at the age of 14 to touring the countryside with her trademark pink guitar, Riordan Stewart-McDougall has built a strong following in only six years. The iconic pink guitar has almost grown into a co-star in its own right, Riordan admitting that “over the years it’s become more of a ‘thing’ amongst my audience.” She actually learned on a hand-me-down from her brother but, at 13 in a music store in Geelong, fell in love with the instrument she now carries with her to many performances. 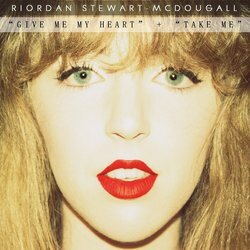 A pop/dance inspired track, Riordan flips her vocals away from the country-inspired sound she has become famous for to tell a love song in reverse. The song can be read in so many different ways. The scenes unfolding in your mind as Riordan's lyrical skill comes to the forefront.